Is there anyone on Earth who doesn't recognize this iconic symbol? 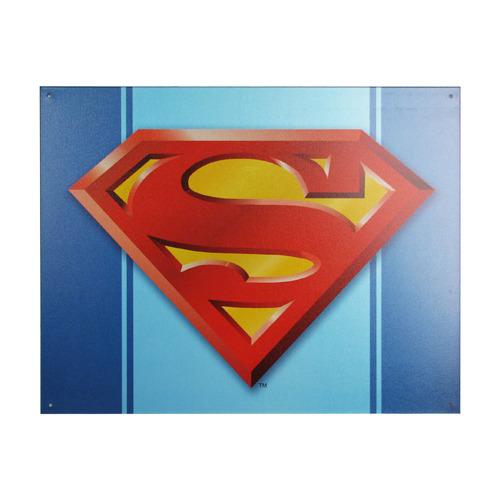 You can display it proudly in your home or office with this metal Superman Logo DC Comics Tin Sign. Go for it! Measures 16-inches wide x 12 1/2-inches tall, and features a small hole in each corner for easy hanging.